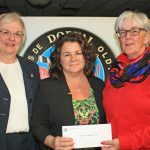 The Dorval Oldtimers Hockey Association held their 30th annual charity tournament last January. The Lachine Hospital Foundation was one of many local organizations that benefitted from the fundraiser and received $1,000 which will go towards the purchase of new medical equipment. 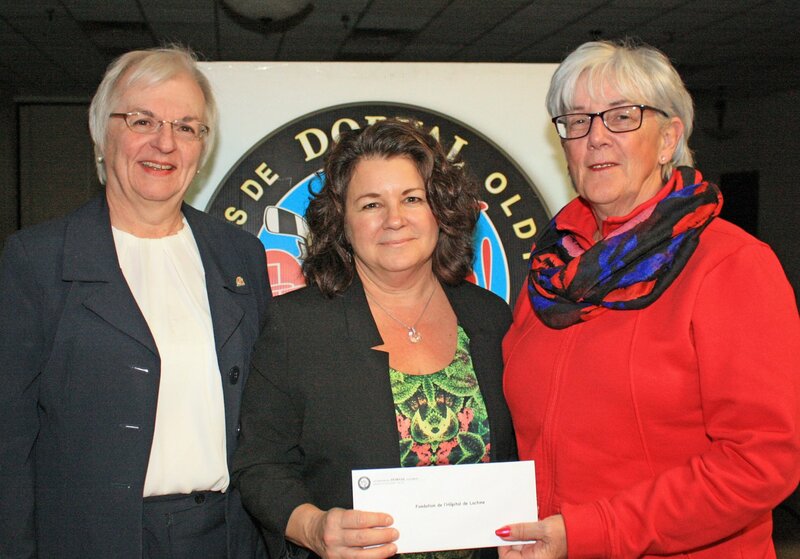 Pictured here at the ceremony held on April 27th are Margo Heron, Dorval City councillor and member of the board of directors of the Foundation, Monica McDougall, Executive Director of the Foundation and Judy Duplantis, a volunteer with the Oldtimers Association.